Drew and Danielle McTaggart of Dear Rouge have come a long way since I met them in a West End coffee shop back in 2012. They’ve since won the Peak Performance Project, played festivals around BC, toured across Canada, and hosted successful charity fundraising events. 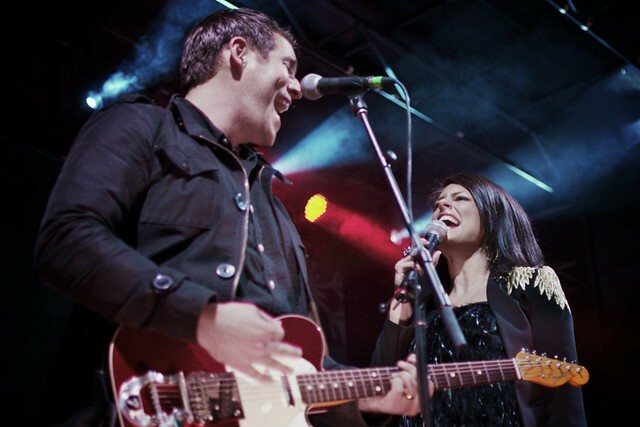 As they’ll also be on stage at Surrey’s Party for the Planet on April 26th, I caught up with Danielle on the road last week as they arrived in Toronto after a cross country road trip. “As you grow, your home community is really fun to play in because you keep building from where you started — it feels great to play local shows,” Danielle told me over the phone. They’ll have plenty of friends and family at the Party for the Planet show since they’re known – by me at least – as never failing to have a hearty cheering section at their concerts. After the tour, and their homecoming, Dear Rouge will be focusing on their first full length album later this year. “We are going to be around finishing our album up so that we can get that out. We have about nine songs done right now and we are still debating whether we should write a few more songs or whether we should take song of the songs from our EPs,” said Danielle. The previously-released “Head’s Up Watch Out” EP was used for their (winning) Peak Performance Project submission and they have also released “Kids Wanna Know” with the single “Thinking About You” which had steady radio airplay in Vancouver. They have been playing new songs at their shows, which also haven’t been recorded, so the album should be full of great material. The group is now heading back across Canada, playing in Saskatoon on April 3rd, Calgary on April 4th, Golden on April 5th, Kelowna on April 9th, with a hometown show in Vancouver on April 10th before crossing over to Victoria to play Lucky Bar on April 12th. Dear Rouge will join other Main Stage performers Said the Whale, Andrew Allen, Jordan Klassen, and Jeremy Fisher at Party for the Planet on April 26th in Downtown Surrey. This is a free family festival that will also host Dora the Explorer, Bobs & Lolo, Rockin Robin, Mike Battie, Harrison Lee, Mad Science, and more!